Searching for a slice of nature in the concrete jungle? You’ll find your very own greenery-filled getaway in the New York City Flower District, a little-known paradise just steps away from Mondrian Park Avenue. This tiny stretch of city block, on 28th Street between 6th Avenue and 7th Avenue, is home to the busiest flower market in the country. 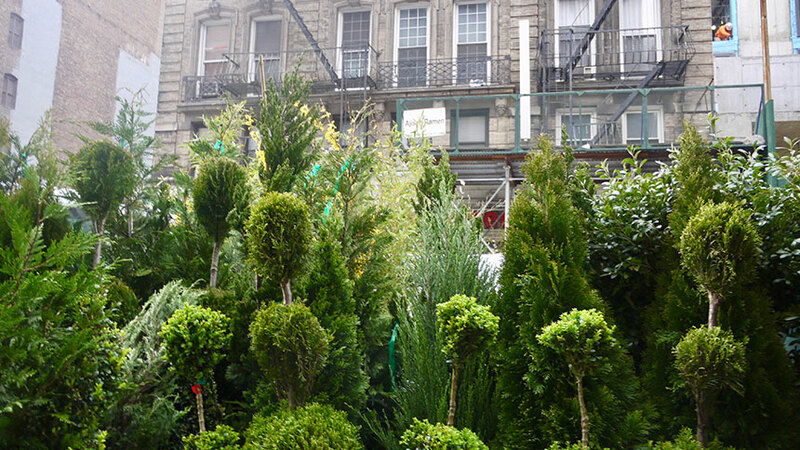 A visit to the Flower District transports you from Manhattan’s crowded streets to a lush urban garden. Vendors display their inventory on the sidewalk, so you’ll find the block lined with potted plants, trees, and flowers in every color of the rainbow. The historic flower market got its start on East 34th Street over a century ago, and moved to its current home of 28th Street in the 1890s. 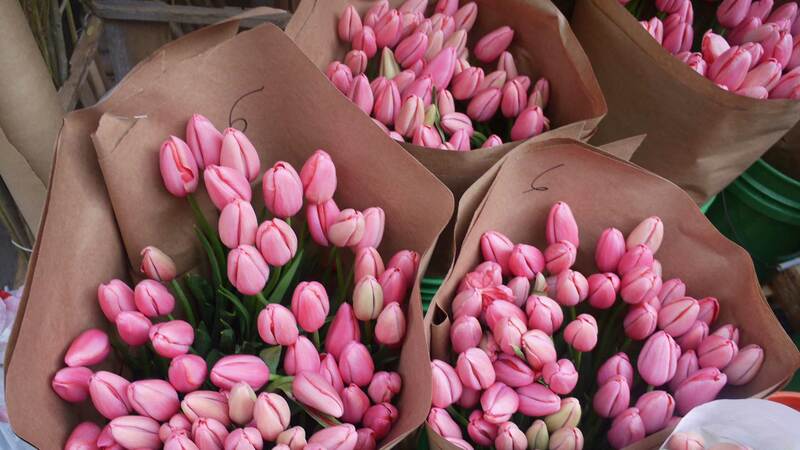 The rest is history: At one time, the market had more than 60 vendors, and by the late 1970s, New York City was second only to Amsterdam in the number of flowers bought and sold daily. It’s nothing short of a Manhattan legend. Here’s your guide to making the most of this sweet-smelling haven. The flower market operates Monday through Saturday and opens around 5am, before most of the city has even poured their first cup of coffee. For the first few hours of the day, vendors sell exclusively to wholesale customers. As the morning goes on, they open up sales to the general public. No day is the same in the Flower District, but a general rule of thumb is to arrive sometime between 7:30am and 9am to make the most of your visit. The Flower District usually shuts down for the day around lunchtime, so you won’t want to get there much later than 9:30am. 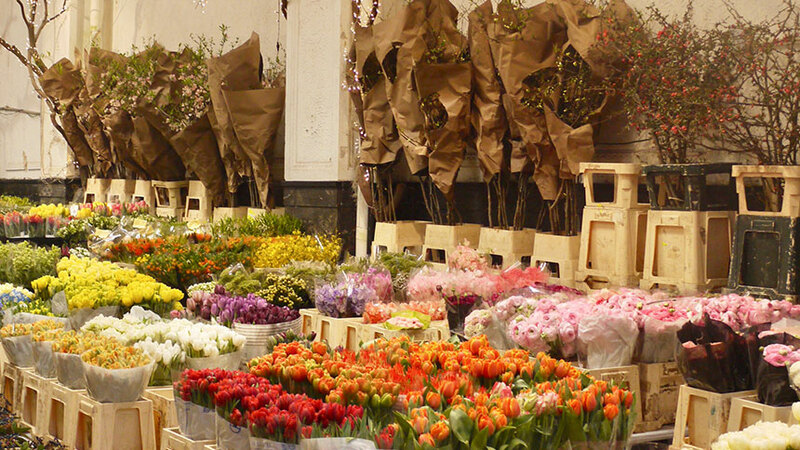 The market thrives year-round, but spring is the best season to stock up on the best blooms in the city. 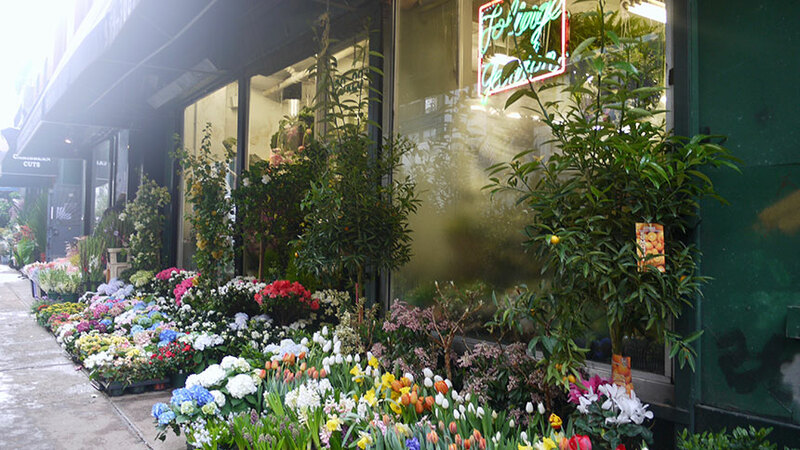 The Flower District is a morning hotspot for busy decorators, event planners, and business owners shopping for flora. Pro flower shoppers and vendors have built close connections over the years, and there’s an intricate choreography to their hurried transactions. Taking in that hustle and bustle firsthand is one of the best parts of exploring the District. If you arrive in the middle of a rush, you’ll spot leaves and stray petals dotting the sidewalk, nursery trucks pulling up from every direction, and sellers hauling potted plants across the sidewalk as they dodge crowds of pedestrians. Each flower shop has its own unique personality. The best way to get to know the lay of the land is to pop into every shop that intrigues you. Some stores have specialty niches — Jamali Floral & Garden Supplies primarily sells vases, Lasting Art exclusively sells meticulously crafted faux flowers, and Caribbean Cuts specializes in rare tropical plants — and each one is worth a visit. Other must-see legends of the District that are still family-run after more than half a century in business, like Bill’s Flower Market and Superior Florist. You’ll find hints of these stores’ legacies in the historic architecture of their showrooms and traces of retro signage that remain decades after being replaced. If you’d like to take some flowers of your own home or back to the Mondrian, pace yourself as you shop. Every vendor’s selection will seem more stunning than the last, so it’s tempting to stock up as you go until you’ve bought more flowers than you can carry. Instead, take a first walk-through to get to know what’s on offer, and then loop back around to each shop to collect your picks. On a sartorial note, you’ll be leaning over sidewalk flower displays and maneuvering through narrow shop corridors, so be sure to dress in clothes you can move in. Bring cash with you as well, because many vendors don’t take cards. The vibrant colors of the Flower District are a photographer’s dream come true. Bring your camera along for the ride, but plan to spend a lot of time ducking out of the way mid-shot as power walkers hustle past you. The market’s crowded corners can make it tough to linger long enough for an Instagram-worthy photo capture, but these snapshots will be well worth the effort.